Last Monday, Greece regained a statute of « financial independence », detaching itself partially from European tutelage and the International Monetary Fund (IMF). During the eight years of crisis, the country received 289 billion euros. Unfortunately, the economy and the general state of the state remain fragile, worrying its young generation, the social group the most affected by the crisis. « The end of the program is not the end of the road » said Pierre Moscovici on Monday. The European Commissioner for Economic and Financial Affairs explains through the press conference that the end of the third financial bailout plan does not mean the end of controls. The country remains fragile, it still does not sail alone. « This is an important step towards the recovery of Greece. It is known that there is no point in hiding it (efforts) will be necessary to consolidate and ensure the sustainability of this recovery.The end of the program is not not the end of the reforms, to stop tomorrow we know it would be backtracking and that would actually ruin eight years of efforts.Today we must take notes of the considerable efforts that Greece has deployed and of course the Greek people« . The old nation remains the last country to emerge from European and international financial supervision after Cyprus, Ireland, Portugal and Spain. As a reference in ancient history, Greece is weakening by remaining today under the constraint of « enhanced post-program surveillance » until 2022. State trusteeship was poorly perceived by the young Greeks. « This meant not only imposing (austerity) measures, but also imposing the way they were to be implemented. The range of measures went well beyond the economic aspects and touched all areas of the political spectrum. From tax reforms to education reforms concerning the teachings methods in elementary schools, the last word belonged to the troika » explains a young Athenian, Έκτορας Καρβούνης. 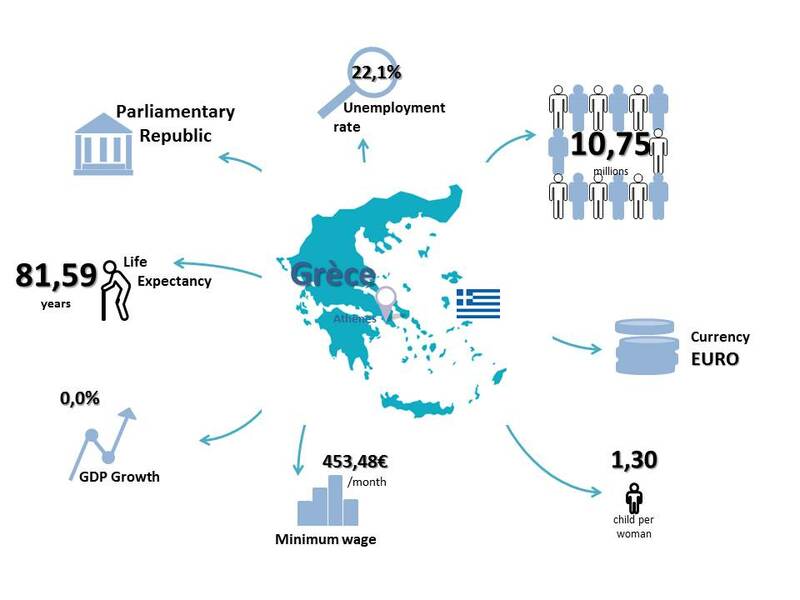 This position, Eleni Vouli shares it. Aged 23, she believes that Greek mentalities must evolve. « I think the end is rather virtual, we will always have someone watching us, and rightly so, because the Greeks are really attached to their habits, always trying to cover themselves (…) I am rather pessimistic about the future of the country, old habits die hard, but I would really like to see real improvements in the educational system that has a high responsibility. ». She hopes that collaboration with the European Union will improve. « I see the EU as a major asset in the country’s development and I hope that our cooperation will continue, allowing Greece to make a clearer statement on its financial progress in the near future ». Others believe that corruption hinders the country’s good progress. « The central problem in Greece is corruption, especially in high-paying jobs. People don’t want to retire or change jobs because they know they are not qualified and nobody else will hire them. So there is no chance of people going up the ranks or even getting a job » adds Danae Tessa. These heavy constraints cause the departure since 2008 of many young citizens, no less than 427,000, according to the Bank of Greece. The young Athenian Danae Tessa has the same thought. 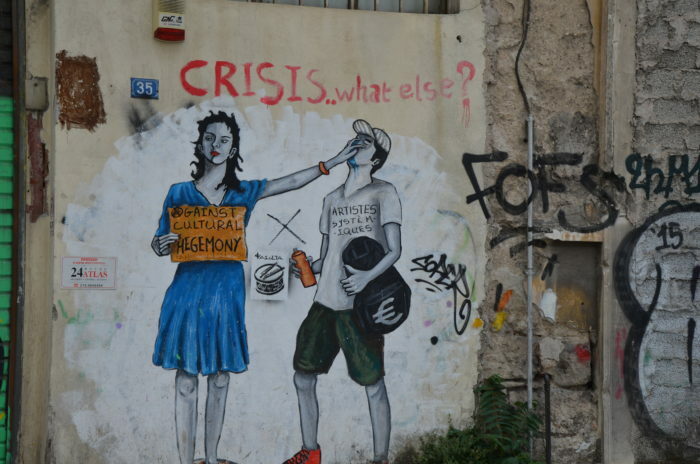 « The economic situation in Greece is rather bad, especially for young people like me, there is no future. It is difficult to find a job that doent’t pay less than the minimum wage for a ridiculous number of hours of work (…) the social situation is also difficult, most people are diverted from politics and news because they have the mentality that they can not do anything against corruption, poverty, homelessness. They are more active politically or socially » adds the young woman with disappointment. The French newspaper, Alternatives économiques denounces the failure of the policy of recovery « This intervention will remain in the annals as a model of what we must not do if we really want to help a country to recover …« . Since the beginning of the crisis in 2008, Greece has lost more than one million citizens while the rest of the euro area has gained eight. « We need to put an end to all the controls in the public administration, I hope that more funding will be given to schools, universities, new teachers, new buildings, but also to hospitals. ‘places that have minimized the position of the people they need to save money » says Danae, a native and citizen of Athens. They can not find suitable jobs. Youth unemployment remains high at 40%. « The unemployment rate is decreasing, but it is still very high, payments are still lower than those of a standard worker, therefore, the brain drain increases more and more » adds κτορας Καρβούνης.